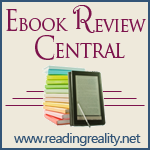 Ebook Review Central for Dreamspinner Press for October 2011 – Escape Reality, Read Fiction! It’s time for Ebook Review Central to take a look at the Dreamspinner Press titles from October 2011. But before we move to the featured titles, let’s take a moment to look back at September. 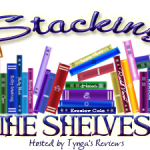 The September list has been updated to reflect additional reviews since the last time we looked at Dreamspinner, and there are a couple of titles that need to be mentioned. Legal Artistry by Andrew Grey, one of last month’s featured titles, received even more praise this month, probably because the sequel, Artistic Appeal, was published in October. Chasing Seth, another ERC featured title, also received even more reviews. It was a late entry in September (Sept. 30), so people may have been still reading it mid-month. Now on to the October titles! Dreamspinner published 25 titles again this month. There were a lot of titles from continuing series this month, and it was clear from the reviews that reviewers were definitely waiting for those series books, because they generated most, but not all, of the reviewing buzz this month. Caregiver by Rick R. Reed was the only non-series title to generate a significant number of new reviews this month. From the book blurbs in the reviews, it sounds like a “three-hankie special”, but in a really good way. Every reviewer describes it as a fantastic book that they read with a lump in their throats. This novel is about the AIDS epidemic, and it is set in 1991, at a time when AZT was the only drug available and infection was still considered a death sentence. The reviewers all mention that the way the novel is written is unconventional, and that the author lets the plot drive the story, but that the characters make this a story well worth reading. Talker’s Graduation by Amy Lane is the final featured title. Based on the reviews, this one comes with a caveat. On the one hand, readers clearly loved this book. On the other hand, it apparently only makes sense if you’ve read the other two first. This novella is the “payoff” story to the two previous books in the series, Talker and Talker’s Redemption. It’s very clear that Tate Walker and Brian Cooper, the two characters in this story, have had an extremely difficult life. Graduation is when they finally get their happy ending. They just have to earn it first. And that wraps up the Dreamspinner titles for this month! 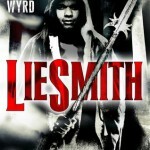 Please come back next week when Ebook Review Central will be looking at the Samhain Publishing titles for October 2011. What should a platform fee buy, anyway?